Warmer temperatures have made the mornings a lot more enjoyable over the last two weeks and this has resulted in longer walks with the boy and, more often than not, Reiko as well. In addition to the fresh air and exercise, these walks are an excellent opportunity to explore the neighbourhood together. The boy is as curious as anyone his age would be, which means there are new discoveries and a barrage of questions every couple of minutes … or seconds. Fortunately he does stop for air every once in a while, which allows me to make use of the nice Canon camera. 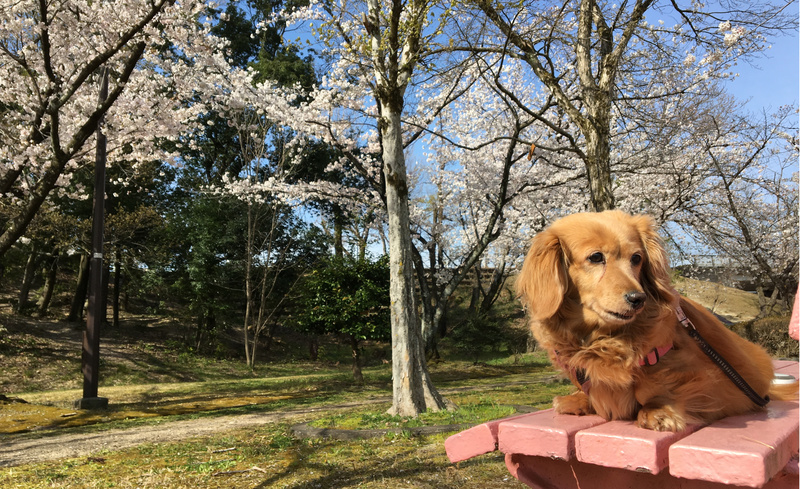 As one would expect, Nozomi is also enjoying the springtime weather. Over the next few weeks her winter coat will begin to shed, which will make her appear younger, thinner, and much cooler. Time permitting, she'll also get a proper trim. With two days of idyllic weather forecasted for the weekend, Reiko and I have made some tentative plans for a pair of picnics. One day we'll go to a nearby park with a large number of cherry trees and ample space for the boy to run. The other day we'll make the trip up to Inuyama to enjoy the park surrounding the castle with the in-laws. Camera batteries will be charged. Memory cards will be prepped and ready to go.